For persons who have previously been approved by The Kennel Club to award CCs in the breed and have completed their first appointment and have the support of the Northern England Flatcoated Retriever Association. For persons who fulfil all the requirements for the A3 list and who have been assessed in accordance with the Kennel Club requirement and accepted by the Kennel Club for inclusion on an A2 list and have the support of the Northern England Flatcoated Retriever Association. Note: Any judge already approved to award CCs will remain on this list until their first appointment has been completed. To have a minimum of 7 years judging experience in this breed and have the support of the Northern England Flatcoated Retriever Association. To have judged the breed at 1 (one) preferably 2 (two) breed club shows. To have judged a minimum of 50 classes at open shows or championship shows without CCs. To have judged a minimum of 160 dogs. To have attended a Kennel Club Field Trial at Open Stake level, or an Open Gundog Working Test for a retriever breed. To have attended a Points of the Dog Assessment conducted by a Kennel Club Accredited Trainer and passed the assessment. To have attended at least one breed specific seminar run in accordance with the relevant Kennel Club Code of Best Practice and passed an examination and/or assessment for inclusion onto the A3 list. To have bred and/or owned a minimum of 3 dogs when they obtained their first entry in The Kennel Club Stud Book (except in exceptional circumstances). 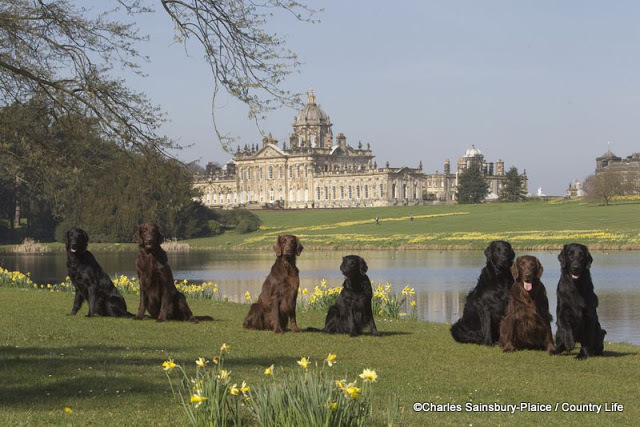 Minimum of 7 years judging experience in any one breed (to include 5 year judging Flatcoated Retrievers) and have the support of the Northern England Flatcoated Retriever Association. To have judged at 1 (one) Breed Club Show. To have attended a Kennel Club Field Trial at Open Stake level, or an Open Gundog Working Test for the relevant gundog sub-group. To have bred and/or owned a minimum of 3 dogs of any breed when they obtained their 1st entry in The Kennel Club Stud Book (except in exceptional circumstances). 1) To have 5 years experience owning and exhibiting in this breed and have the support of the Northern England Flatcoated Retriever Association. To have a minimum 3 years judging experience in this breed. To have judged 10 classes at Open Shows or Championship Shows without CCs. To have judged 50 dogs. To have attended at least one breed specific judging seminar run in accordance with the relevant Kennel Club Code of Best Practice and passed a B list assessment. To have been seen judging by a member of the Judges and Show Sub Committee or a representative. To have stewarded at 5 shows. To have a minimum of 6 years experience owning and exhibiting in any one breed and to have the support of the Northern England Flatcoated Retriever Association. To have judged a minimum of 10 classes at Open Shows or Championship Shows without CCs. To have judged a minimum of 50 dogs. For aspirant judges who have shown an interest in the breed and to have the support of the Northern England Flatcoated Retriever Association. For aspirant judges who have shown an interest in the breed and have the support of the Northern England Flatcoated Retriever Association.